Home / Media Centre / What can you expect from crowns at Future Dental? Firstly we provide same-day crowns (constructed using E4D CADCAM technology) in the majority of cases made from video scans usually taken directly in the mouth in place of impressions. The material choice is Emax Porcelain, the most robust of all the All-Ceramic Crown materials. This material is highly aesthetic and long lasting and has the lowest tendency to chip of all the current generation of non-metal crowns. Being made up on either the same day or by next morning is a big advantage and clients find this far more convenient than messing around with provisional crowns that usually need the patient to be numbed up to remove and insert the new final crown. ALL-CERAMIC CROWNS: Emax E4D, Lava Ultimate E4D, Empress E4D, Lava, Procera or Zirconia E4D crowns containing no metal at all are the most aesthetic and beautifully life-like restoration. 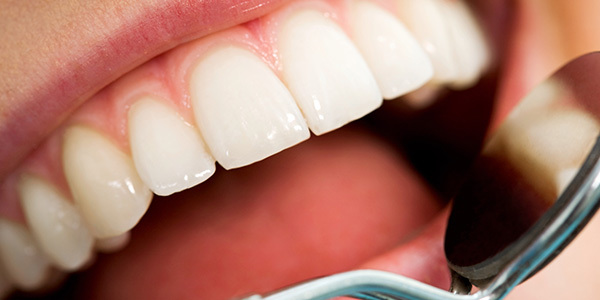 We generally use all-ceramic crowns in aesthetically critical areas, for front teeth and premolars. PORCELAIN-FUSED-TO-GOLD CROWNS: For people who grind and clench their teeth very heavily and where they still expect a tooth coloured crown on molars, we have in the past recommended a porcelain-fused-to-gold crown. The gold core provides strength against the heavy biting forces that a molar must withstand, whilst the porcelain exterior affords excellent aesthetics. The newer All-Ceramic Emax Material is now taking over this role as it has been demonstrated that it is less likely that a porcelain chip or fracture will occur using Emax that Porcelain Fused to Gold. FULL GOLD CROWNS: A full gold crown is the strongest crown of all. In severe clenchers and grinders, and in out-of-sight positions, a full gold crown is often the longest lasting choice. If longevity and lowest maintenance are more important to you than best most natural appearance, a Gold Crown is still the best that can be offered. Do we get Full Gold Crowns? Very rarely at Future Dental because Emax is so strong and aesthetically appealing. About the only time the use of FGCs at Future Dental occurs now is in cases where a Porcelain Fused to Metal Crown, as part of an old expensive Bridge, has had its porcelain break away and we don’t want to put that person through the expense and inconvenience of having to replace the entire bridge. The porcelain is removed from that part of the bridge and a new Gold Crown over the old gold below is bonded in place. A sacrifice in appearance that can only be done in bridges on back teeth but much cheaper than replacing the entire expensive bridge. We never offer Porcelain Fused to Metal Bridges anymore so we don’t have to worry about that future mode of failure. Emax bridges don’t seem to suffer porcelain chipping to any significant degree like Porcelain Fused to Metal or Porcelain Fused to Zirconia or Alumina. And no, we won’t be offered those types of Crowns or Bridges either for those very reasons apart from the poorer aesthetic outcomes that these other materials produce. So now you realise you are almost certainly going to have an Emax Crown done at Future Dental. If you have any other questions or want to book an appointment with us, contact our friendly staff today!